Ahead of the 1 April 2019 deadline, Yamaha has updated the Cygnus Alpha with UBS (Unified Braking System). For the safety update, it has received a hike of Rs 400 over the drum variant and Rs 600 over the disc variant. Yamaha Alpha prices start at Rs. 52,202 (Ex-Showroom). 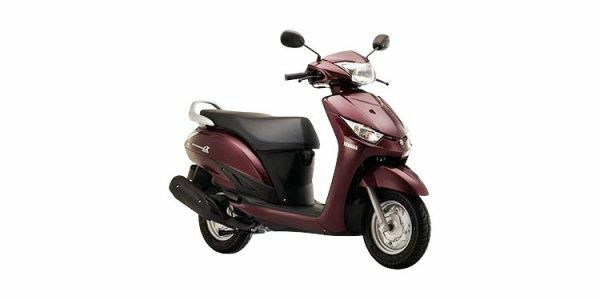 Yamaha Alpha is available in 2 variants and 5 colours. The claimed ARAI mileage for the Yamaha Alpha petrol is 66 kmpl. As a family scooter, the Yamaha Alpha ticks all the right boxes, except on the pricing front. The Alpha scores highly in terms of handling dynamics, peppy engine and comfortable ergonomics. If the slightly high price tag isn't an issue, then the Alpha is a decent candidate for your next all-round scooter.